For Wisconsin, the death of Supreme Court Justice Antonin Scalia increases the chances that the John Doe case may yet reach the high court. Right now, the district attorneys of Dane, Iowa and Milwaukee counties have joined the case and have expressed an interest in appealing last July’s Wisconsin Supreme Court decision to the U.S. Supreme Court. With the death of Justice Scalia, there is no risk that the U.S. Supreme Court would side with the Wisconsin Supreme Court, since the four liberal justices have consistently voted in favor of campaign finance regulations and they now essentially hold veto power. The revised deadline for submitting the appeal is April 29. I suspect the many roadblocks the state Supreme Court has thrown in front of this was a factor in needing more time. The John Doe, as conducted by the District Attorney constituted an illegal search under the United States Constitution. I believe the Court would not take this up at the present time. If it came to a 4-4 split, the decision would support the previous Courts decision. What I’d like to see, as someone investigated by this group is restitution for those of us burdened with legal expenses. Our civil rights were violated. Criminal misconduct occurred. Compensation is due and that burden should not be on the shoulders of taxpayers.it should be taken from the DA and his band of merry criminals. The John Doe needs to be held accountable. The John Doe was not an illegal search and seizure. There was enough evidence to get the search warrants and supeonas. 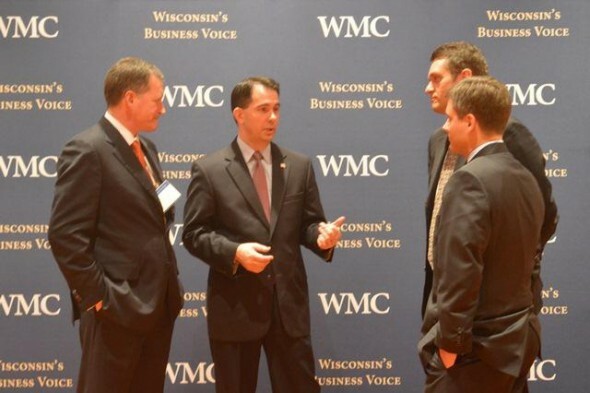 Perhaps the individuals involved should have not participated in the illegal campaign coordination with Scott Walker. Changing the law after the fact does not make the activity legal. The only criminal misconduct was by the participants of the coordination, not the DA, investigators etc.